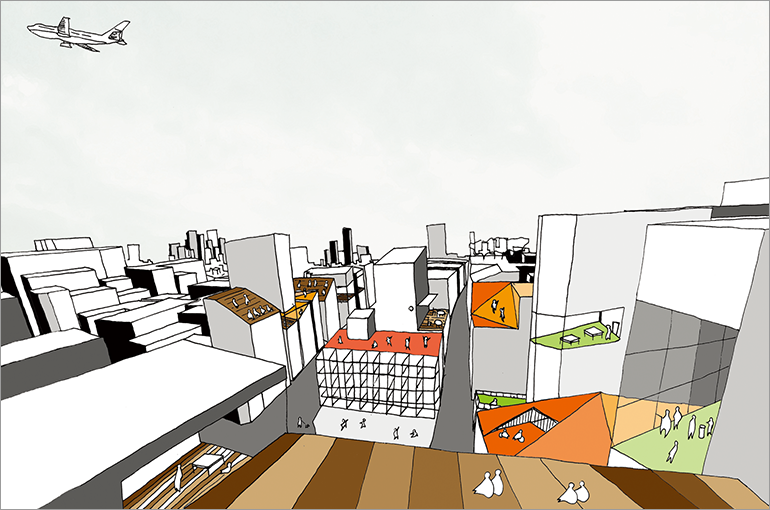 Come up with an idea of SUSTAINABLY redeveloping Nihonbashi, an old city in the center of Tokyo. Contrary to the massive redevelopments undergoing, our proposal was “step by step renovation”. What I proposed was a usage of a space that can be connected visually but disconnected physically. For expample a theater’s seat and a stage. I call this a “remote space”. And the procedures of redevelopment is up to the residents will. They can tear down and make a new one, or rennovate their old one. There is only one rule that they must follow. That is that they must make a “remote space” that are visible from and to the spaces of the surrounding buildings. In the daytime each remote spaces are used as indivisual spaces. Like a cafeteria in a office or a public spce in a collective housings. 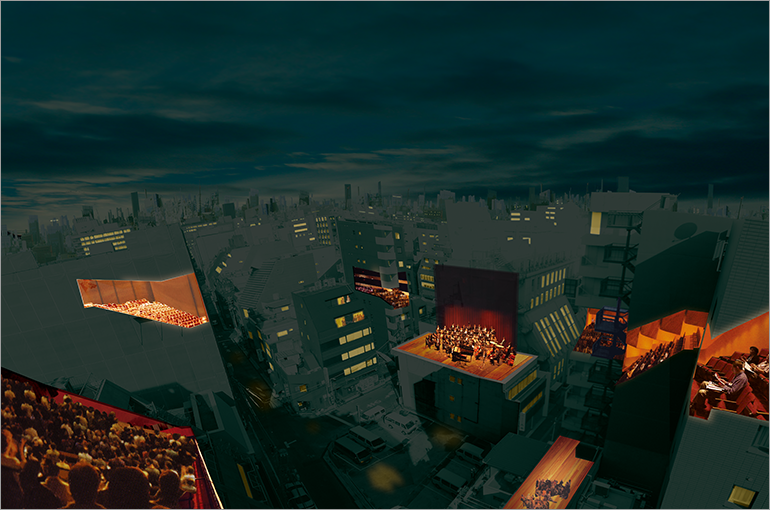 But it can also be used as spaces altogether, like a theater in the sky.